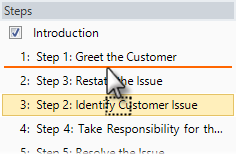 Steps: Located on the left side of the screen, this panel is used to manage steps for the Media Panel. 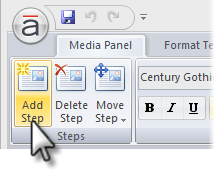 Go to the Media Panel tab on the ribbon, and click Add Step. 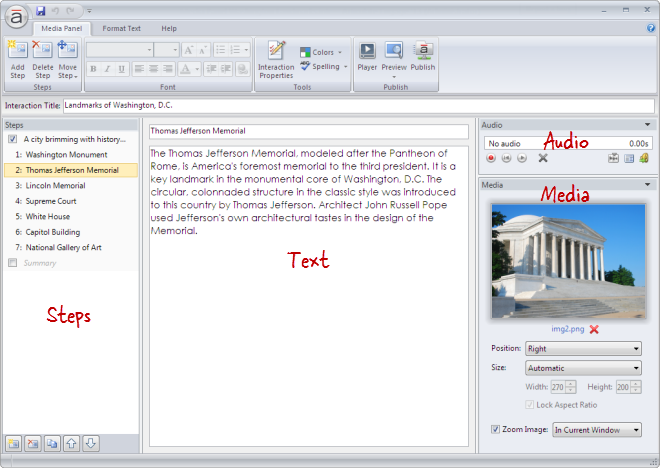 Tip: A Media Panel interaction can have up to 20 steps (not counting the introduction and summary). 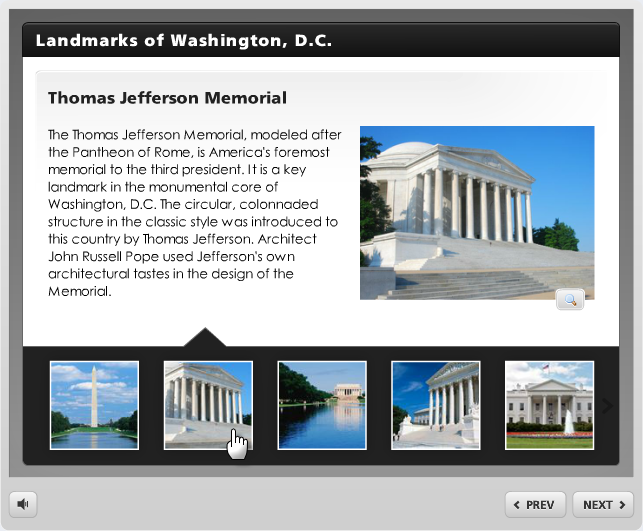 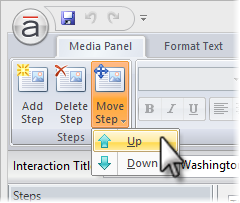 Go to the Media Panel tab on the ribbon, click Move Step, and select either Up or Down. 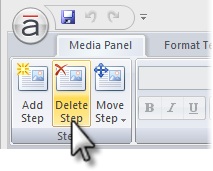 Go to the Media Panel tab on the ribbon, and click Delete Step.